German Chocolate Quinoa Brownies. I have a treat for you guys today! 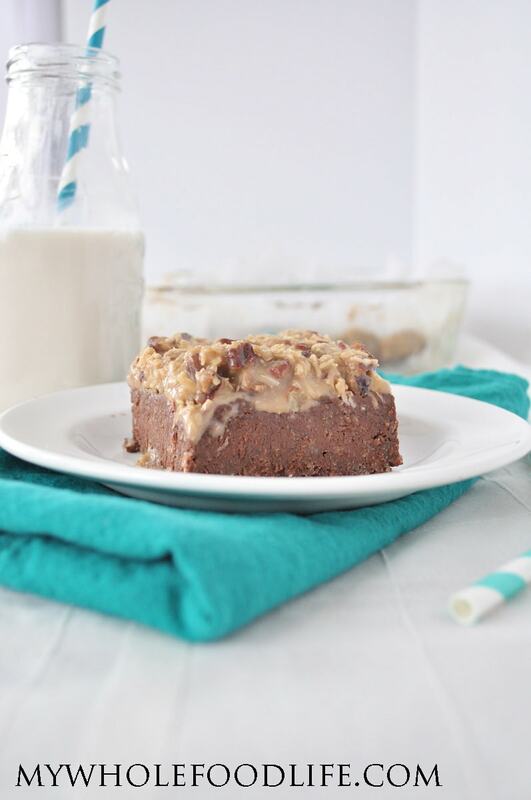 You are going to love these German chocolate vegan quinoa brownies. If you are a fan of the quinoa brownie recipe already up on the blog, you will love this latest twist! Especially if you like anything German chocolate flavored. 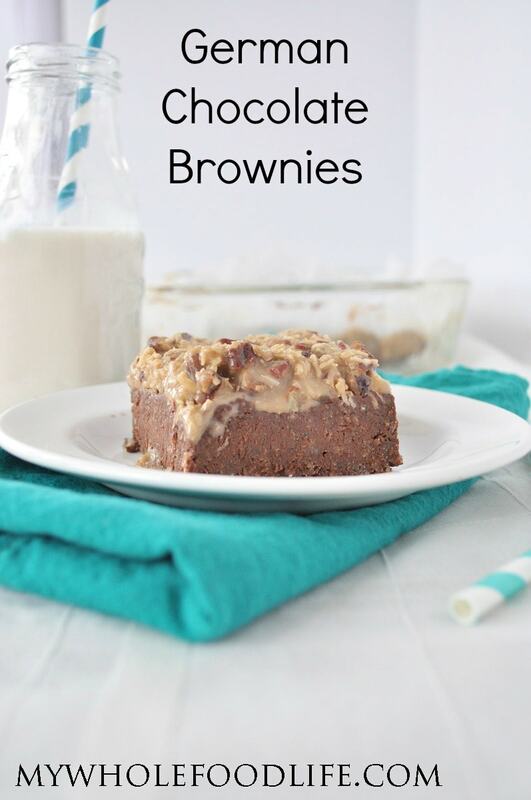 These German chocolate gluten free quinoa brownies are a cinch to make too. I used my vegan sweetened condensed milk recipe for this. These quinoa brownies would be perfect for holiday parties. I promise no one with ever know they are made healthier! A secretly healthy brownie recipe you will love! Put all the brownie ingredients in a blender and blend until smooth. Leave enough room for some to stick out the sides. Pour the batter into the glass baking dish. While the brownies are baking, make the topping. Combine all topping ingredients in a bowl and mix well. Once the brownies have cooled, spread the topping on top. Store these brownies in an airtight container in the fridge. They should last at least a week, maybe more. Enjoy! Melissa these are beautiful! I love german chocolate and have some vegan sweetened condensed milk at home I've been looking for a recipe to use it on. Hello quinoa brownies!! Thank you Sam! They are super rich! I hope you enjoy them! These look great. However, I have a problem with quinoa and would like to know if I can substitute millet or something else for the quinoa. Millet might work in this too. If you try, please let me know how they turn out. OMG do these look amazing! I want to make these now but sadly have no milk of any kind on hand to make the icing! However I do have some organic creamed coconut. Is there a way to make the icing using this? I have never used cream of coconut, not even sure why I have it!! Lol! Hardly a day goes by that I don't make something from your site!! Much thanks!! Thank you Suzy! You might be able to use creamed coconut? Maybe whip it with some sugar and then add the pecans and the shredded coconut? You might need to add a little flour or arrowroot to thicken it if it seems too runny. Sounds interesting...what can I substitute for the cashew butter...I'm allergic to nuts. You might be able to use sunflower butter in it's place. Haha! Right? Someone will always ask, so I have to put that in there! Oh goodness, the ingredient list alone makes me swoon. These look amazing, Melissa. I'm curious as to what makes them German, though? I've seen the chocolate cake + coconut combination called that before but never figured it out. Do you know? Must be a funny American thing then. lol. The photo alone makes me want to reach out and gobble it up! I can't wait to make this! !